Woody Allen once again shuns Manhattan to continue his European tour, having already done London, Barcelona and Paris. 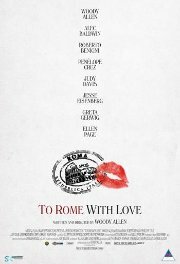 Now in Rome, we follow four different stories revolving around love in a comedy set in one of the world's most enchanting cities. Unfortunately the general consensus is that this is not Allen's best. I guess they call you Ferrari?